Rain and unpredictable temperatures are perhaps the biggest hurdles we sartorially inclined gentleman have to face during the early part of spring/summer. Well, to be honest, rain and unpredictable temperatures are some of the biggest hurdles we have to face even during the height of summer here in the UK, but still. There are a number of ways we can tackle this issue: trench coats, umbrellas, clever layering, but casually I don’t think there is a better option than the lightweight rain jacket. With the proliferation of sports luxe and sportswear trends in recent seasons, the lightweight rain jacket has seen something of a surge in popularity. However, as with any trend (and, to an extent, outerwear) this jacket suffers from a great deal of misuse – being worn in much the same way by much the same people. 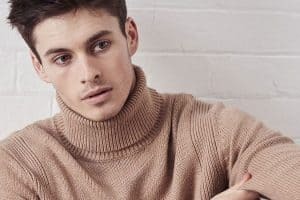 However, we here at FashionBeans aren’t like everyone else (or at least we like to think so), and with just a little thought this extremely versatile piece can be worked into almost any modern wardrobe. Traditionally unlined and constructed from light, waterproof materials, the rain jacket is an excellent transitional item – one that is able to combat our unpredictable spring weather and can be layered over any look without adding bulk. You can throw it on over the top of a blazer and shirt combination as easily as you would jeans and a t-shirt, which makes it an ideal piece of outerwear to carry in your man bag or store in your car for when the weather turns. 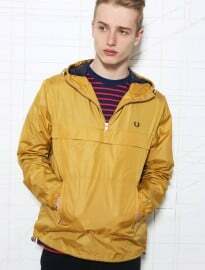 The most common variant on the market is the lightweight parka silhouette (especially as the parka looks set to be big for AW13), although on trend bombers, sports-inspired styles, anoraks and fisherman jackets are now widely available, and most at a price that won’t break the bank. When it comes to choosing your ideal jacket, my personal advice is the brighter the better. 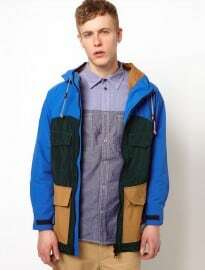 Outerwear is one of those items that you can really afford to go wild with colour and make a statement. Take note of our recent coverage of SS13 colours by opting for bold oranges, pastel pinks or bright blues. Try not to think too much about what you’re wearing, just throw it on in place of your usual jacket and wear it with rock solid confidence – safe in the knowledge that you look great. Rugged and masculine but still playful, we inject a shot of colour via the jacket. A pair of chunky boots and slim fitting indigo denim is a classic menswear combination, so make full use of it. A piece of knitwear – it doesn’t matter whether it’s cotton or wool – in a basic colour will let the jacket sing and keep the outfit as a whole grounded and timeless. Create clean, simple lines by mixing casual basics with a structured shirt. Pick a jacket in a relatively neutral colour (that isn’t black, navy or grey) and then have a play around with coloured chinos to create some fantastic smart-casual spring/summer inspired combinations. I spoke about mixed aesthetics in a recent article: pairing textures and pieces that wouldn’t normally be seen together to create something altogether different and unique. 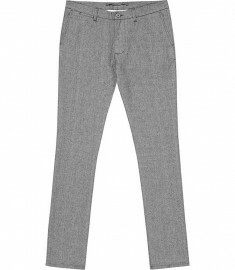 The denim shirt and tailored trousers combination we featured in the aforementioned article is definitely one that can work well with the lightweight parka – it’s simply a development of the mixture. So there we have a short consideration of the lightweight parka. As far as outerwear goes, I think it’s an excellent option and much more versatile than you might initially think. My personal choice (and the one I’m currently sporting) is the Boxfresh one used in the first look – I think it’s truly fantastic. Although I may not have gone into as much detail as previous articles, that is because I simply mean to inspire and don’t want to overcomplicate how to wear an item like this. 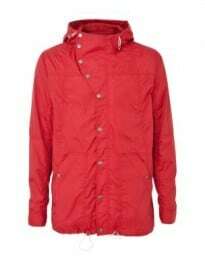 The whole point of a lightweight, waterproof jacket is convenience and practicality – you can roll it up and carry it round with you effortlessly, and throw it on over the top of any current outfit you are wearing to protect yourself from the ever-changing weather. It really is that simple. Stick with bold colours and you’ll be well ahead of the game. Don’t be scared to try something you wouldn’t normally consider and ignore the masses wearing the same kinds of things all the time. As always, I’d like to know what you think. 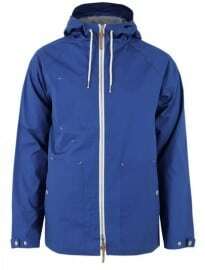 Are you a fan of the lightweight rain jacket? If so, how would/do you wear yours?